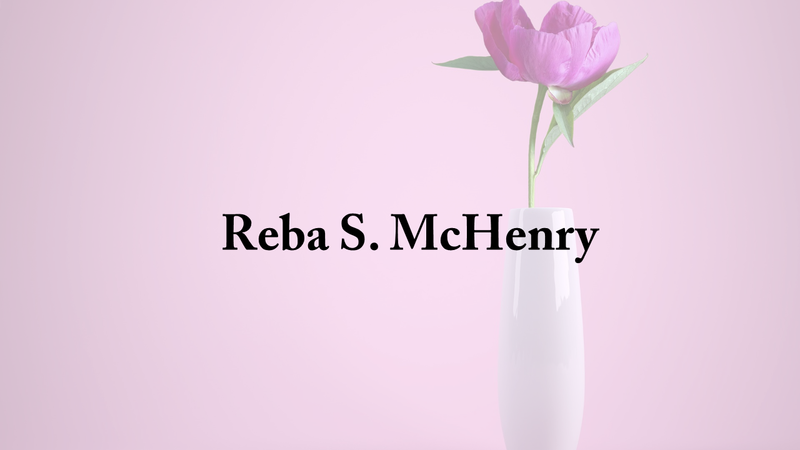 Funeral services for Mrs. Reba S. McHenry, 88, of Hanceville, is 2 p.m. Sunday, Feb. 10, 2019 at Bethlehem East Baptist Church with Reverend Russ Fox officiating. Reba, the daughter of S.S. and Essa Ellard Sloan, was born in Cullman County on Oct. 6, 1930. She is survived by her son Steve McHenry and her daughter and son-in-law Theresa and Larry Carlisle. She also leaves behind her granddaughter, Julie Bland and great granddaughter, Kirby Bland.